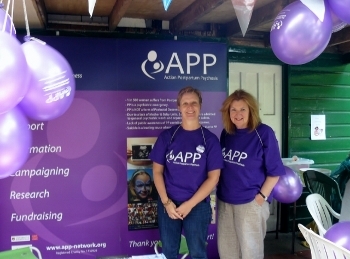 On 18th Aug , APP 's Heather Heron and Nic Muckelroy journeyed to Martineau Gardens in Birmingham to attend a special family fun event organised by staff of Birmingham's Mother & Baby Unit (MBU). We are grateful to Giles Berrisford and Clare Hooper for affording us the opportunity to man an APP stall in order to raise awareness of PP. It was a hugely enjoyable day for those families who have benefited from such a great facility as the Birminham MBU and for those friends who continue to support it. If you have not been to Martineau gardens : go ! It is a wonderfully quirky little place for children and families. 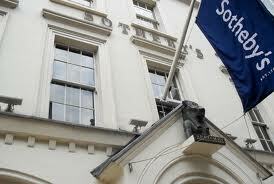 On 25th July, Sotheby's organised a Staff Summer Exhibition in London. APP was the chosen charity and a great preview evening was enjoyed by a huge throng of invited guests, including APP trustees. We are greatly indebted to the team at Sotheby's including all of the artists and those who produced the impressive catalogue. It was humbling to see Sotheby's staff working so hard on our behalf, both on the special preview night and prior to it. Informative and moving speeches were delivered by Nic Muckelroy and Prof. Ian Jones and the feedback from all involved was really positive. We will report soon on the final amount raised at this event. 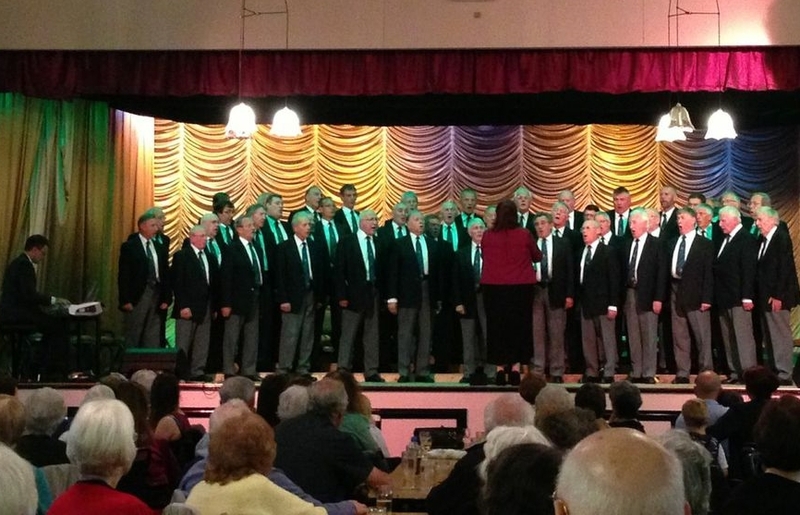 We are delighted to announce that APP has been nominated as its 2013 charity. This wonderful support for APP is undertaken in memory of a well - loved colleague: Alice Montagu Douglas Scott (Alice Gibson-Watt) who, sadly, died recently. 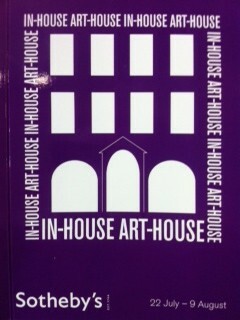 May we encourage you all to visit this wonderful exhibition during the 2 weeks it is showing this summer? .... perhaps buy reasonably priced artwork ? 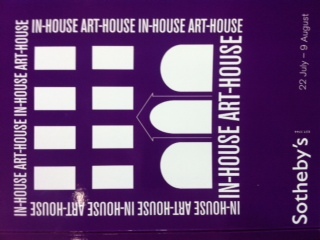 ... or, if this is not possible, perhaps buy a beautifully produced 2013 Staff Exhibition sale catalogue from Sotheby’s, in which you will also find brief details of APP's work? 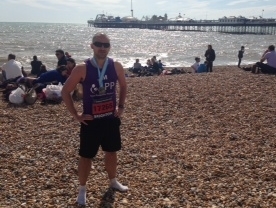 Jim Malbon successfully completed the Brighton marathon for APP. Warm thanks go to him for his valiant efforts - especially after hitting the "Wall" way before the finish line. He has raised a magnificent sum for our vital work and we think looks pretty good in our APP vest too! Robin Hamilton is running the Madrid Marathon for us at the end of this month; again we are greatly indebted to him for this. We wish Robin well and hope the weather is not too hot for him. The sums raised by Jim and Robin will prove invaluable in setting up our UK wide Peer Support networks and information banks - as well as in facilitating research - into this saddest of serious postnatal mental illnesses which can strike any mother, often "out of the blue". 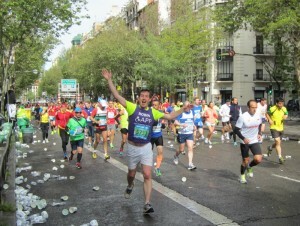 "I am running a hot and hilly marathon in Madrid on Sunday 28th April this year. Just before Christmas a family friend of mine tragically died following a brief illness I had not previously heard of, Postpartum Psychosis (PP). She had had her first child, a beautiful girl, just 5 weeks beforehand." "I have since learned that Postpartum Psychosis is a mental illness characterised by the sudden onset of psychotic symptoms following childbirth. As you will see on the charity website, APP is a charity set up with the following aims: To provide up to date information to women who have experienced PP & their families, to facilitate research into all aspects of PP, to facilitate a peer support network for women & their families, to increase awareness of PP, its symptoms, management & impact among health professionals & the general public, and to advocate for improved services for women & their families." "With many people I know starting families, and with the sad loss of my friend, I feel that it is a very real and worthy cause which will help raise awareness of Postpartum Psychosis, and what can be done to prevent tragedy. Thank you so much for all your support, and thank you for any donations - I will be thinking of all of you who have supported the charity as I race around Madrid at the end of this month." From all of us at APP, thank you very much Robin. 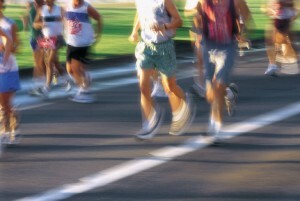 We hope your training is going well & we wish you the very best of luck for the forthcoming run! APP's first purple wedding took place on 2nd January 2013, when Jo Thorpe married Will Grace at Holdsworth House in Halifax, West Yorkshire. 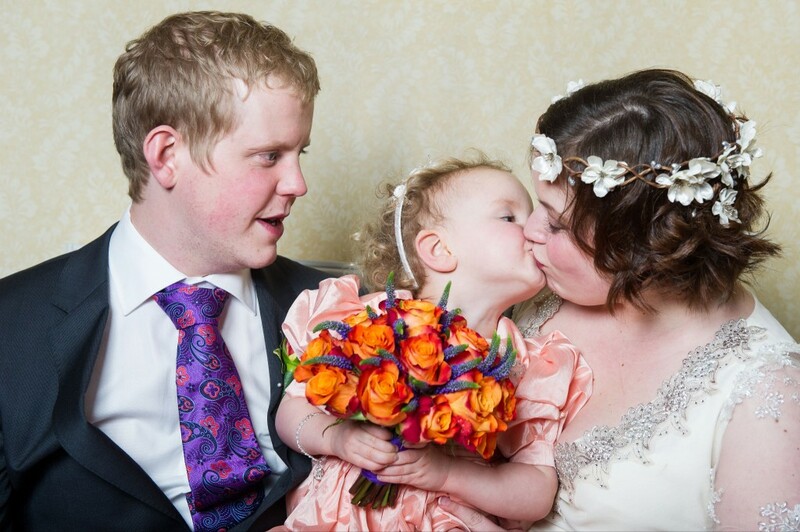 After recovering from PP in 2010, Jo married her partner Will, whom she met whilst they played music together in a band, with their beautiful daughter, Marya, as a bridesmaid. With purple ties, purple flowers, purple jewellery, purple bridesmaids and a purple wedding cake it made a spectacular purple party! Even some guests showed support by dressing in purple too. It was a very special day, with many friends and family who travelled from far and wide.